If the police want to search your property, they should have one of these. In order for law enforcement to invade your personal property, a search warrant is required. This is what the Fourth Amendment to the U.S. Constitution means when it says that there shall be no “unreasonable search and seizure.” In short, if the police want to go through your stuff, they better have a good reason. At least, that’s the way it was meant to be. 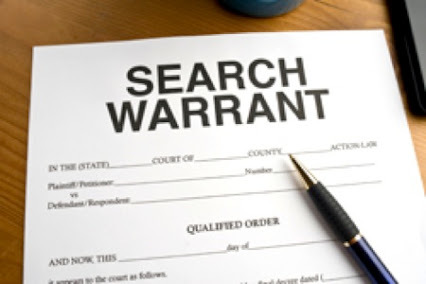 In practice, the courts have gotten around this legal obstacle through the use of what are known as “general search warrants.” Ordinarily, police must demonstrate “probable cause” that a crime has been committed in order to get a warrant for a particular individual. It’s not a very high burden of proof, but it’s enough to keep innocent people from being harassed. General warrants, however, apply not to a specific person, but to a large number of people dumped into a category. For example, a general warrant could apply to “the city of Chicago” or “all Verizon customers,” allowing law enforcement to search the property of people not even suspected of a crime. The use of general warrants was fairly common before the founding of the American Republic. The British empire was notorious for using them to search the homes and property of American colonists. This breach of freedom was one of the major objections to British rule that shaped the crafting of the Bill of Rights. The Fourth Amendment was added specifically to prevent the mass invasion of innocent people’s privacy, but as the years passed and the government desired more power over its people, courts began to interpret the Fourth Amendment more loosely, and general warrants began to reemerge. If general warrants were a problem when people had to travel by horse, manually searching homes, you can only imagine how problematic they are when hundreds of millions of people all store their property electronically in massive servers that can be accessed with a few keystrokes. No one’s data is safe while general warrants continue to apply to electronic communications. There are number of laws that make it easier for government to spy on your property, including key sections of the PATRIOT Act. This June, sections of the PATRIOT Act are up for reauthorization, giving conservatives the opportunity to demand meaningful surveillance reforms. Without limiting the government’s ability to spy on innocent people without a warrant, these sections should not be reauthorized. The Surveillance State Repeal Act is an impressive reform bill would stop the spying and restore the meaning of the Fourth Amendment. FreedomWorks has issued a letter of support for the bill. The founding fathers went to great lengths to protect our civil liberties from the tyranny of government, but agencies like the NSA continue to trample on your rights. It’s Congress’ job to stop these abuses and return to governing based on the Constitution.